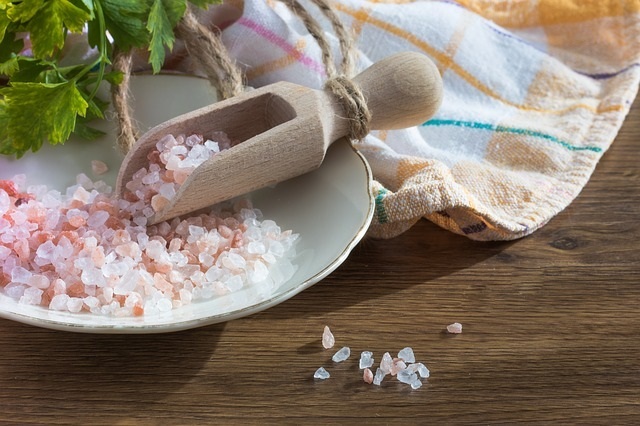 Using the coarse Pink Himalayan Salt Crystals w/grinder, rather than regular salt is a great option! The current dietary guidelines recommend up to 2,300 milligrams per day. Most of you probably eat around 3,400 milligrams per day. This is linked with high blood pressure in this country. One out of three Americans has high blood pressure. If you can lower your daily level to 1,500 milligrams per day, you may be able to lower your blood pressure, which is an healthy lifestyle solution! You can reduce your daily dietary sodium and become satisfied with less over time! If you do this, you will be able to taste how salty food really is. Costco samples of processed foods are almost unpalatable. If you do not find this true, then you probably need to reduce your sodium! It is helpful to track your usage for a day, now that you know that 2,300 milligrams is the level you should be aiming for, or even less. Do you know how much you regularly eat? Keep count, and make changes where you can! Limiting processed foods: Salt is listed on the food label as sodium. Make your choices according to the sodium content. If a serving of a food contains an entire day’s percentage, do not purchase the product! 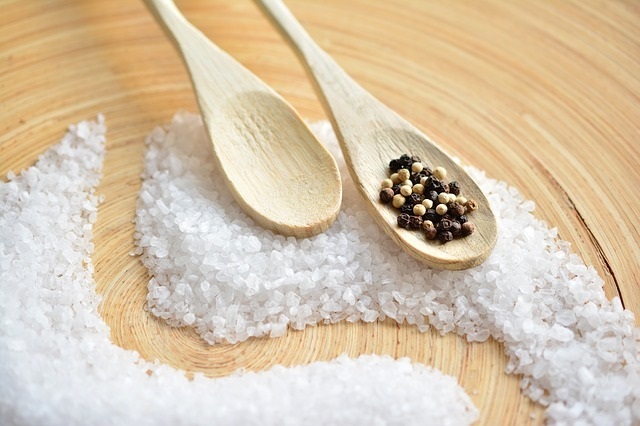 Limiting restaurant visits: Restaurant foods are full of sodium. 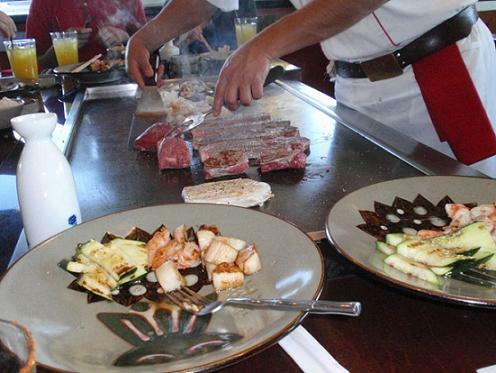 Limit eating out and you will be able to reduce your consumption greatly! See my Restaurant Substitutions list for some healthier ideas! Adding other spices: Spices will help to lower the amount of sodium that you need to use by making your food tasty. I always double or triple or even quadruple spices in recipes, but not salt. Foods will be tastier as well as healthier! Switch to using "No Salt" or "Low Salt" options. Filling your plate half full of fruits and veggies which taste great with little seasonings. Add herbs instead when flavor is needed. Remember that a pinch goes a long way. There is no need to eat a diet that is so high in sodium. High blood pressure is a silent killer. Keep track of your blood pressure regularly, and if it is inching up, reduce your sodium levels to see if this helps! Figure out your offenders and keep them under control! This is a healthy diet habit for the whole family!